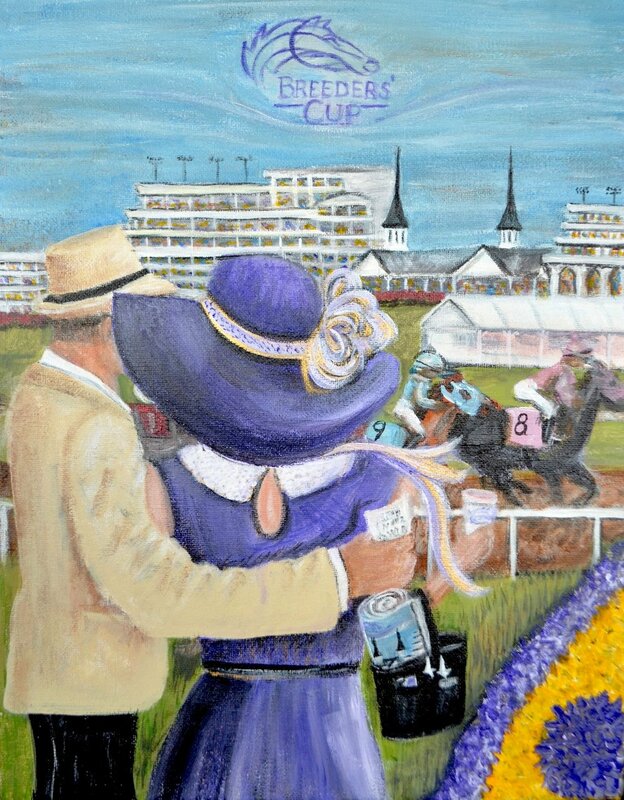 Teresa McCarthy won the 2017-2018 Louisville Bar Association Pictorial Roster cover with a painting representative of the Louisville Area. 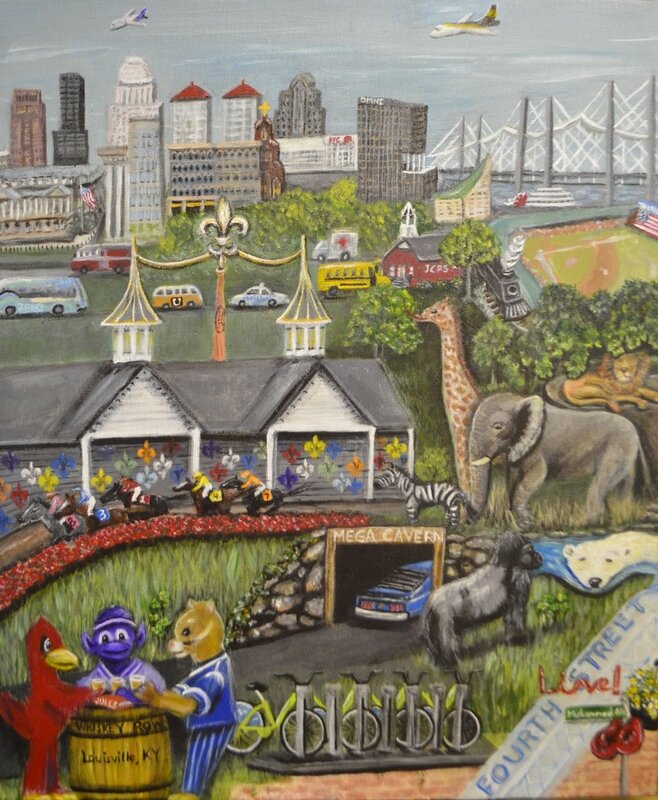 In striking contrast to McCarthy’s usual work, she has created montage of various iconic elements, some that have represented the city for generations (Churchill Downs) and some that have cropped up just in the last few years (the U of L Cardinal and UK Wildcat appear to be having a beer with Louisville City Football Club). The dense composition abandons any semblance of real space to achieve a blend of surrealist and non-objective sensibility. In September, McCarthy participated in the LVA Paint-Out at the Waterfront Botanical Gardens ReGeneration Fair, where she painted “Stop and Pick the Roses” at a location near the Ohio River. McCarthy is a Member of the Kentucky Artist Guild of Artists and Craftsmen, Louisville Artisans Guild and the Louisville Visual Arts. 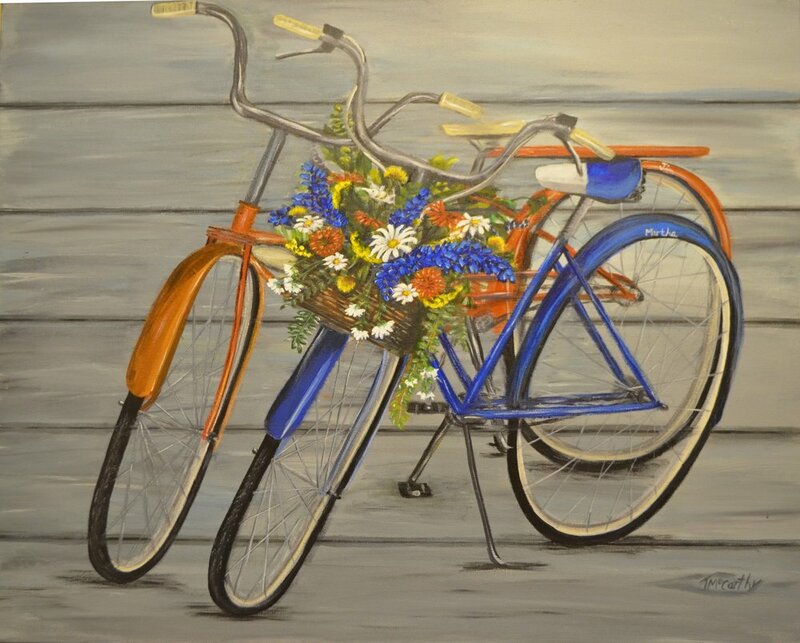 Participating often in the arts Louisville has to offer as a featured artist on Artebella and participating in the Junior League Tulips for Juleps, Highview Arts and Craft Fair, Regeneration Fair Plein Air Paint Out, Art [Squared], and Open Studio Weekends. “Our Journey” by Teresa McCarthy, Acrylic, 24x30in, 2018, Private collection.